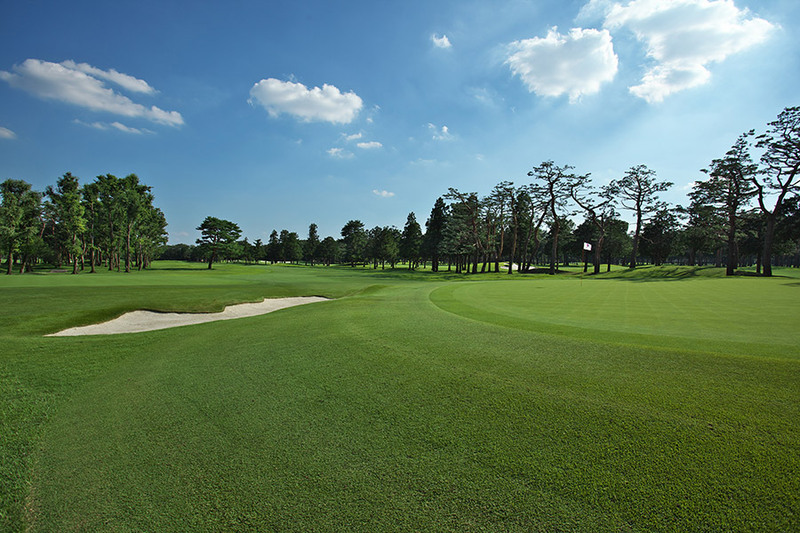 For tee shot, make sure the ball stays on the fairway by paying attention to bunkers lined up on the left side. 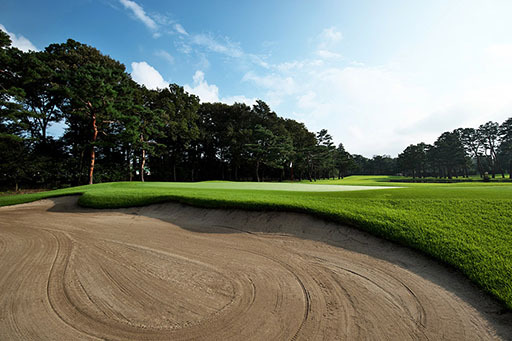 Since a large and tall green side bunker awaits in front of the green, you want to aim green-in-regulation by landing the ball in front of the bunker. 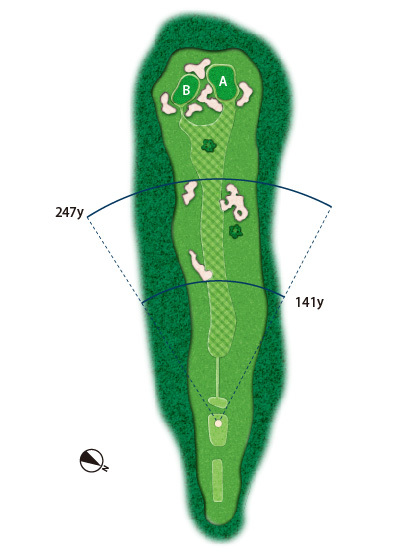 For tee shot, you want to pay attention to the deep bunker on the left side of the fairway, since you will have a hard time trying to hit the ball over the wall with long iron and fairway wood once you get stuck inside. Although it’s a short distance par-3, it’s still an intimidating course since there is a large pond in front of the green, and a creek running between the greens. 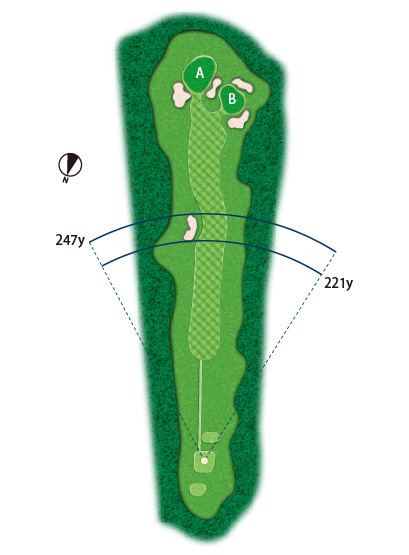 Regardless of where the hole is located, you want to attack it safely by aiming the apron. 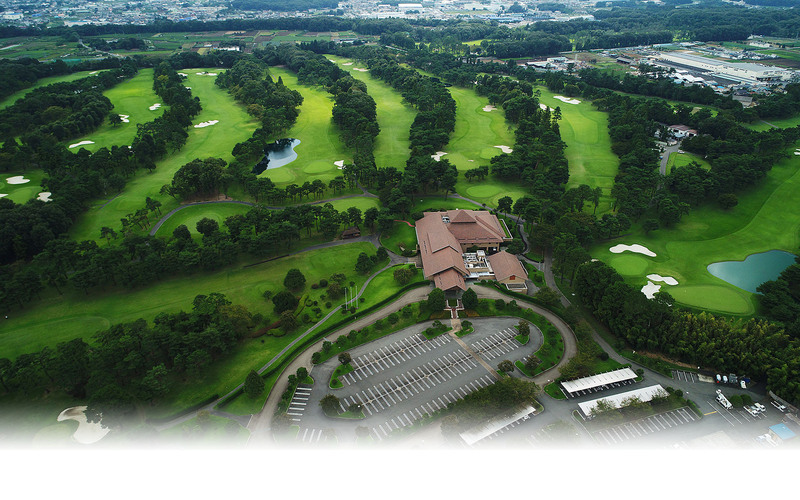 Although it’s a short distance course, a large pond awaits on the right side. 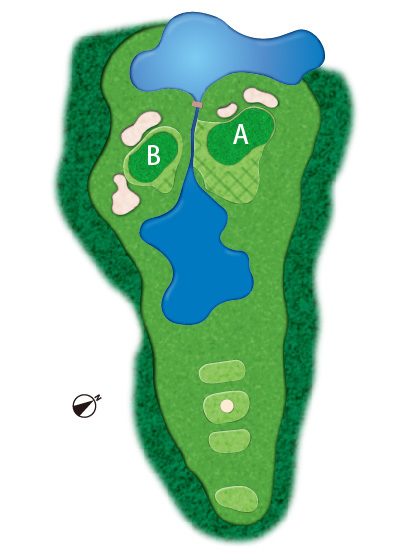 Since the distance between this pond and fairway gets narrower as you go further, you will have trouble deciding whether to attack with driver or lay up. 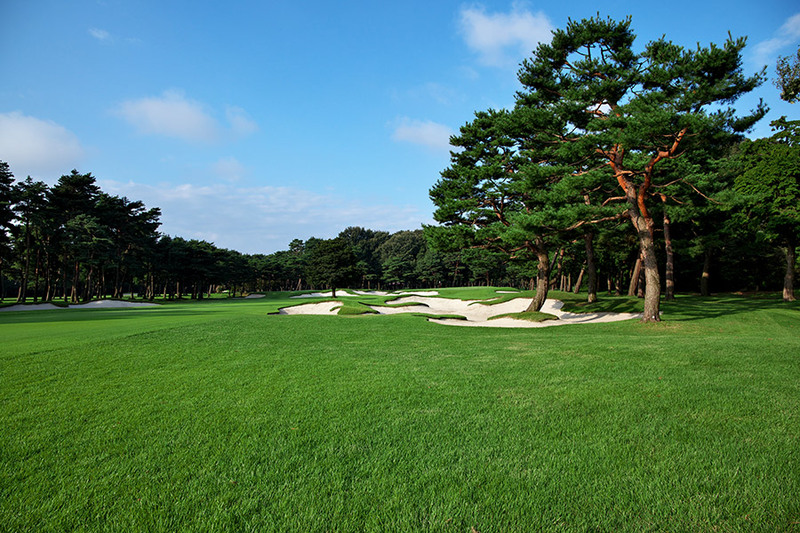 Since the green is surrounded by undulated bunkers, it’s considered to be one of more difficult course to conquer. 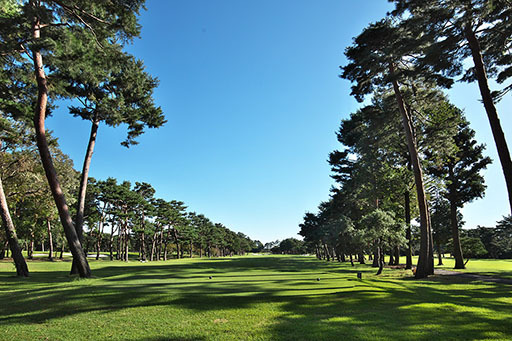 With bunkers awaiting on both sides of the fairway, it’s a type of hole that arouses the challenging spirit within you, forcing you to concentrate on your tee shot. 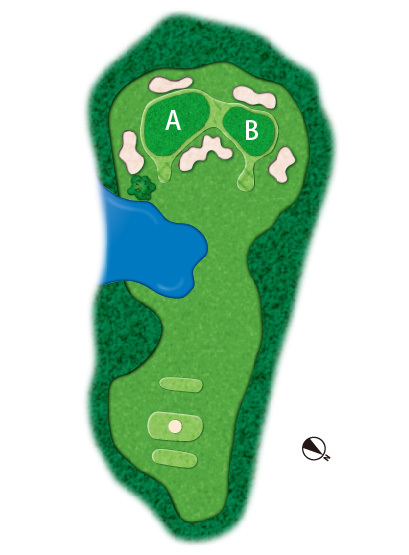 Since both A Green and B Green are under the same environment, you want to take close aim at the pin. 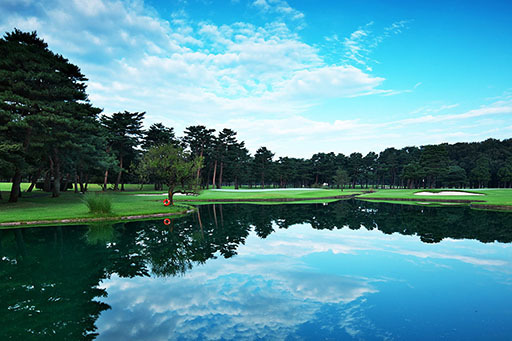 It’s a dogleg-left hole that offers good scenery. It has a large mound on the left side, and a large cedar tree as you go down further. 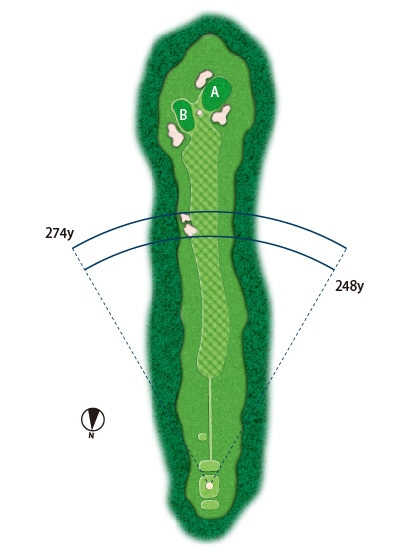 Because of this, it’s recommended to aim slightly from the right side for your tee shot. 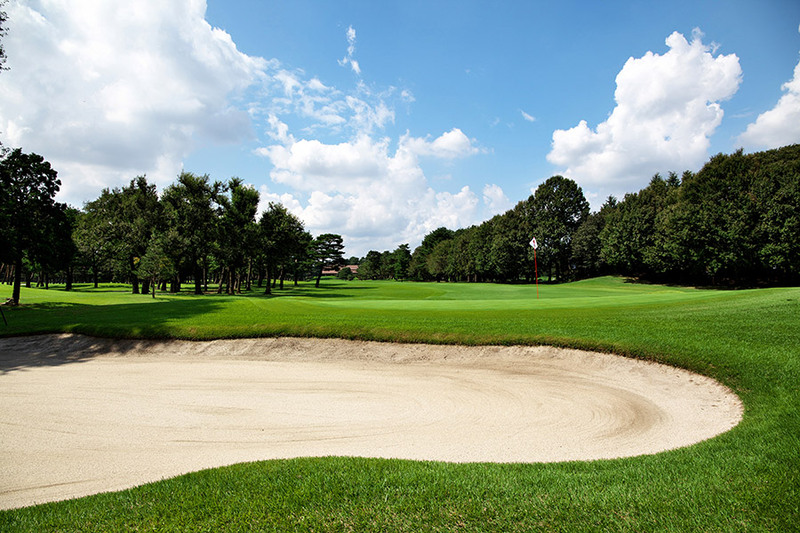 For this course, you want to note the fact that with bulging bunkers surrounding the green, you might run into situations where the green will become completely invisible (Tips: The height of A Green is the same as the eye position of teeing ground. 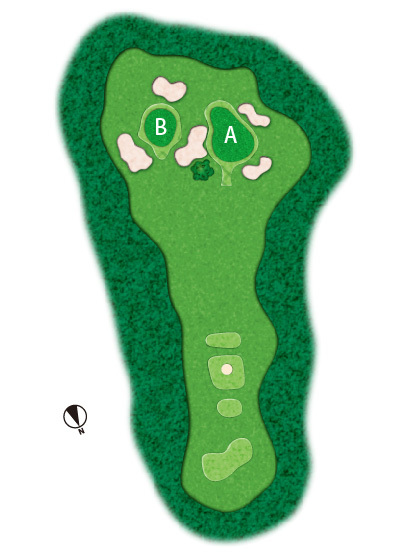 B Green requires you to hit an accurate shot since it has a small green surface). 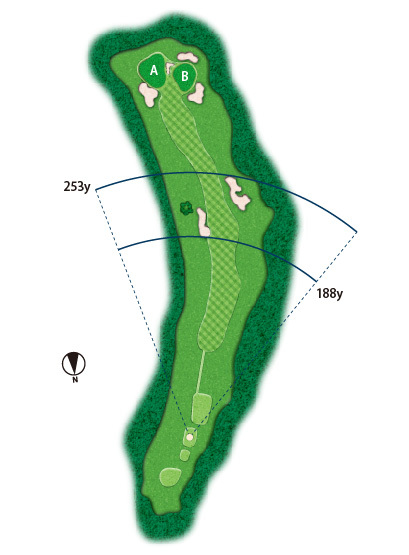 It’s a dogleg-left par 5 that requires flying distance and accuracy on your tee shot. You want to aim right of fairway bunker on the left side for your tee shot. 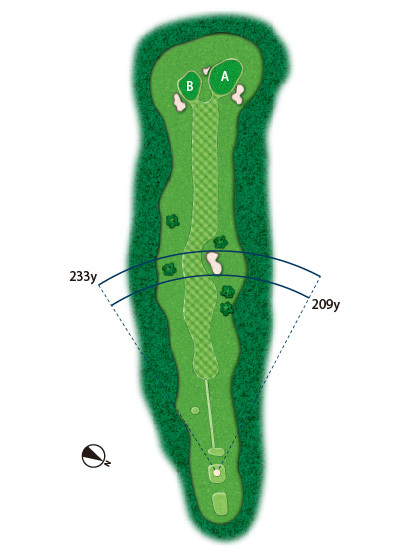 For the second shot, you want to be aware that players tend to swing toward left too much trying to avoid the forest projecting from the right side. 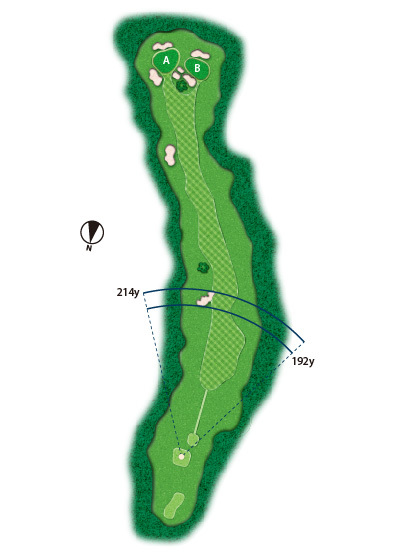 It’s a par 4 considered somewhat dogleg-left. 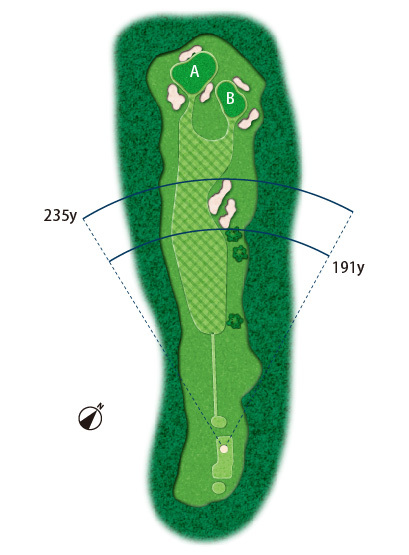 Since the fairway is slightly slanted toward the forest in the right, if your tee shot lands in the forest zone, you won’t be able to aim for the green. The best position to engage from is left mound and slightly right. 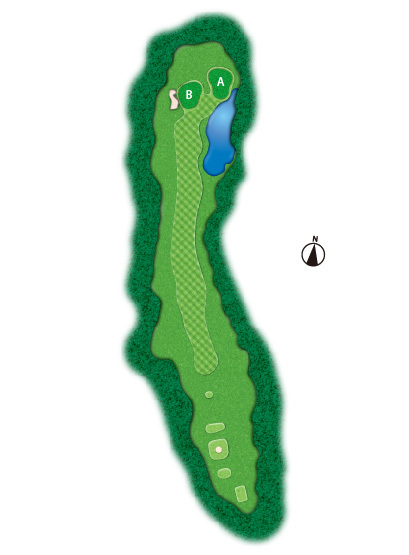 It’s a par 5 considered somewhat dogleg-left. 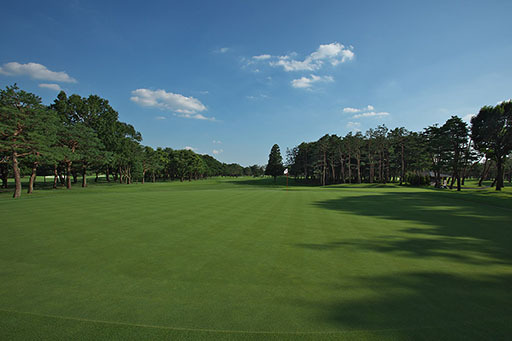 The strategy here is to keep your tee shot and second shot in the center. 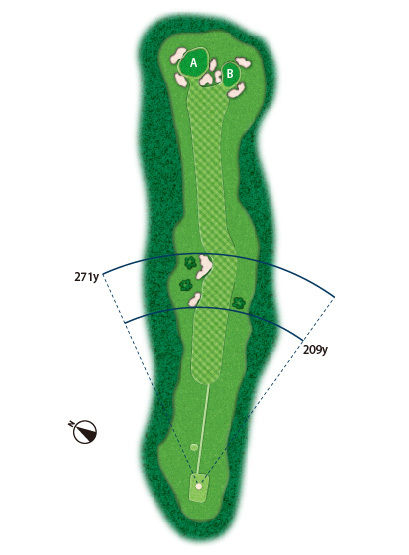 For the third shot, you want to stop the ball by hitting a high fly ball. 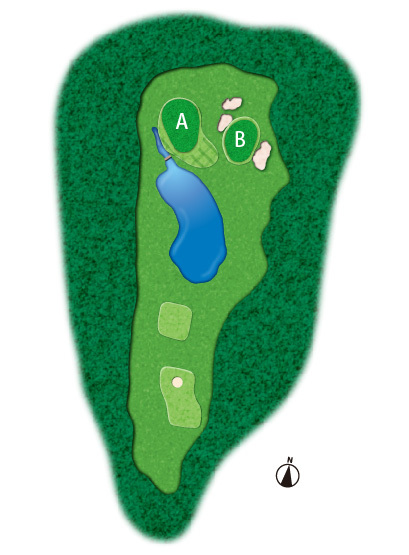 It’s a par 3 that has a large pond and forest projecting from the left side making the ball more prone to roll toward the right side. 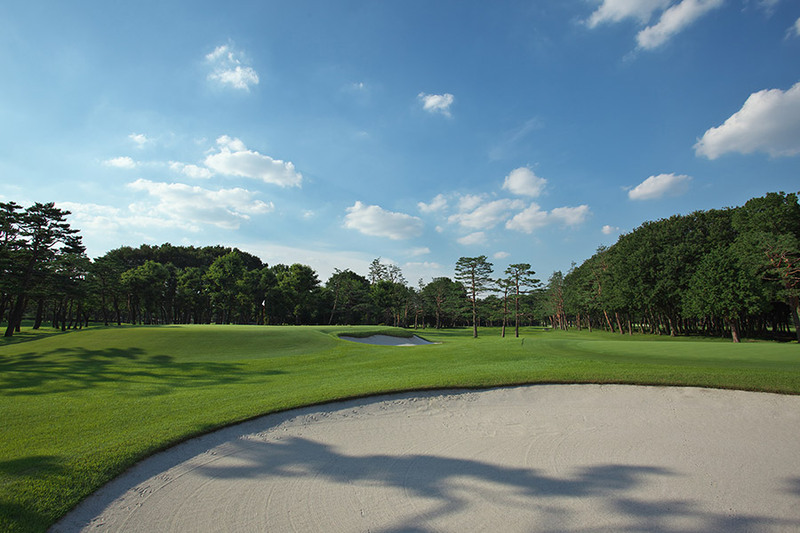 A large green side bunker awaits if you try to escape by hitting to the right. 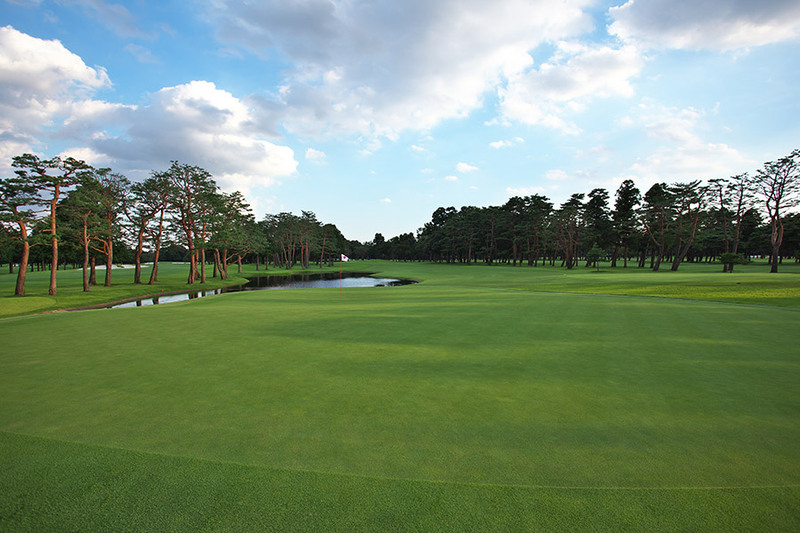 You need to hit more than 120 yards to go over the pond. 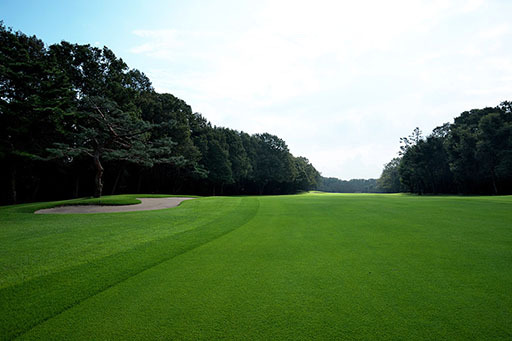 It’s a par 4 with narrow fairway that requires accurate tee shot. 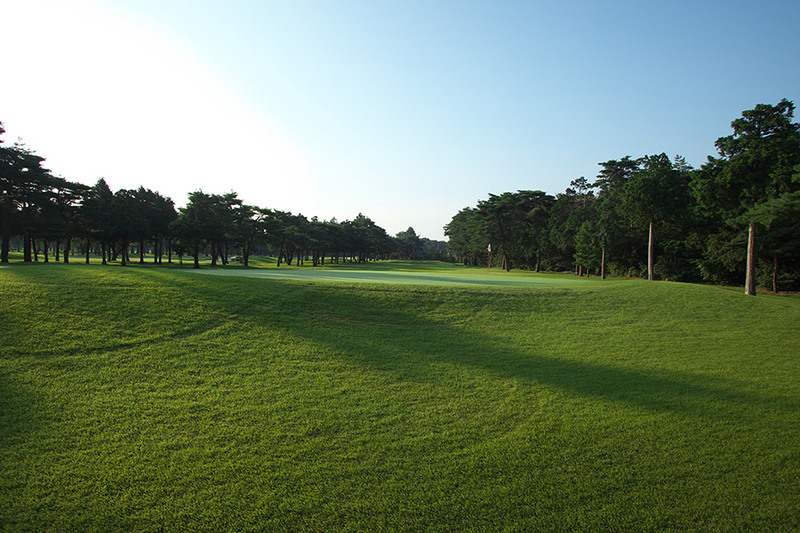 Since A Green is somewhat pushed up in a dumpling shape, the ball easily rolls off the green. A deep bunker awaits in front of the left side of B Green and its back side. 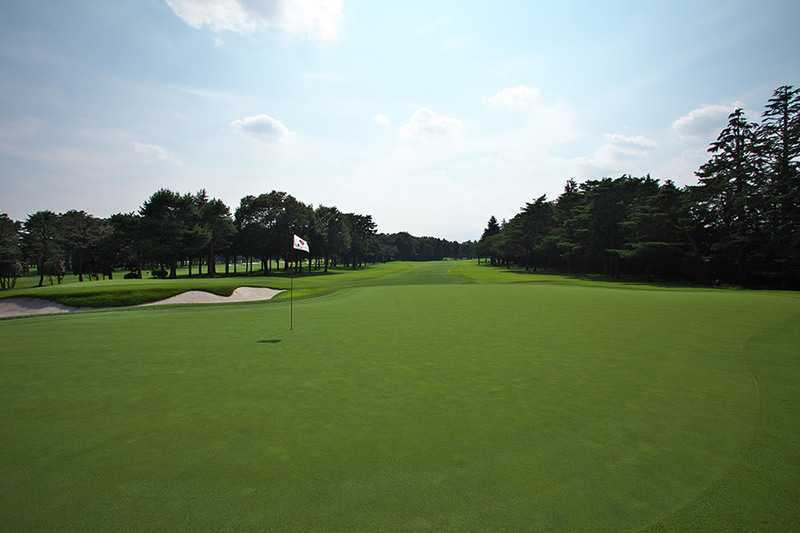 It’s the longest par 4 for South Course. 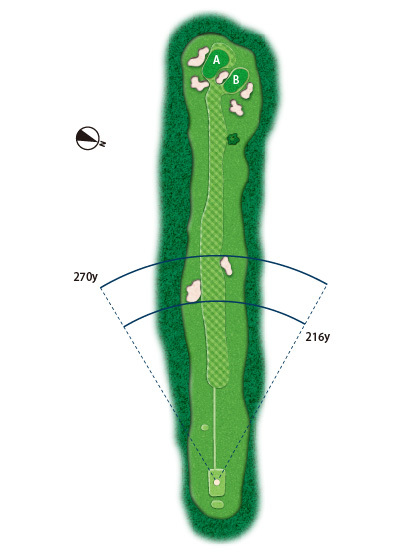 For tee shot, you want to aim for fairway and slightly left side by avoiding bunker on the right side. 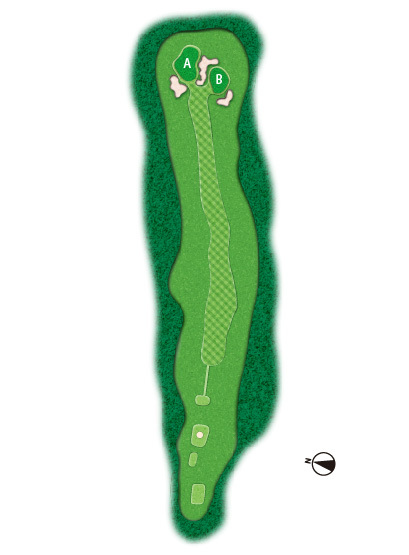 Since the ground right in front of the green is flat, you want to attack safely from apron from that position. 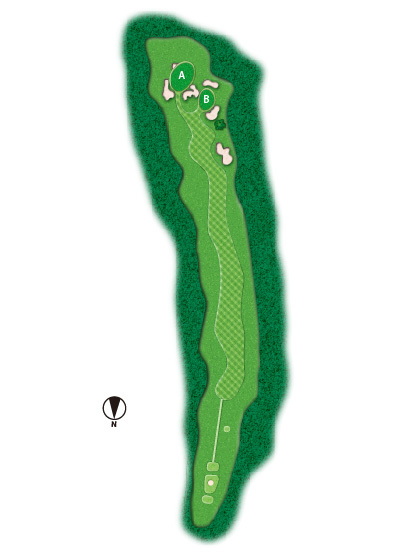 It’s a dogleg-right par 5. You will be met with bunkers on both sides for second position, and you want to be aware that the ball tends to roll into the small bunker on the right side. Once the ball gets stuck in this bunker, you have no choice but to hit lay up over the forest projecting from the right. 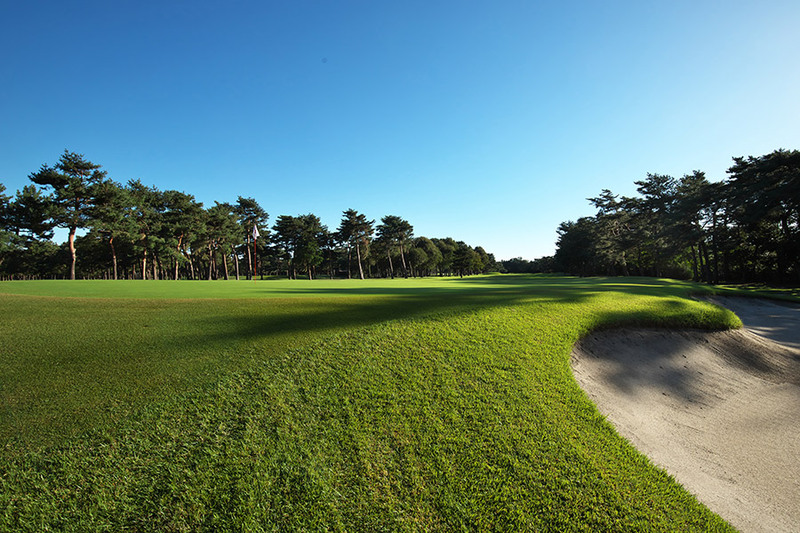 Although it’s a short distance par 4, you need to watch out for the bunker near 200 yards on the right side. The tall wall pushed out toward the fairway side blocks the passage. 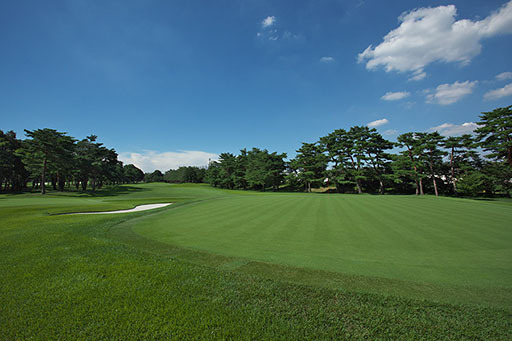 It’s a course that makes it difficult to gauge the distance, since both A Green and B Green are elevated green. 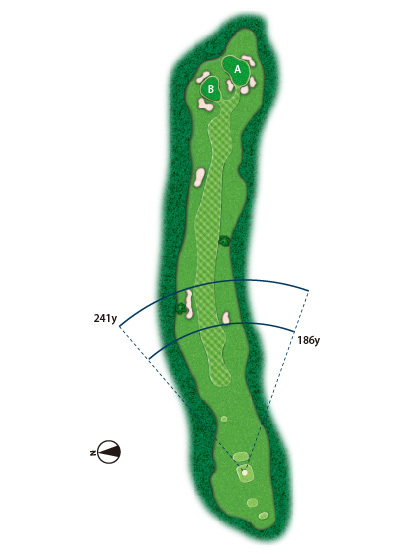 It’s a par 4 that require accurate tee shot. 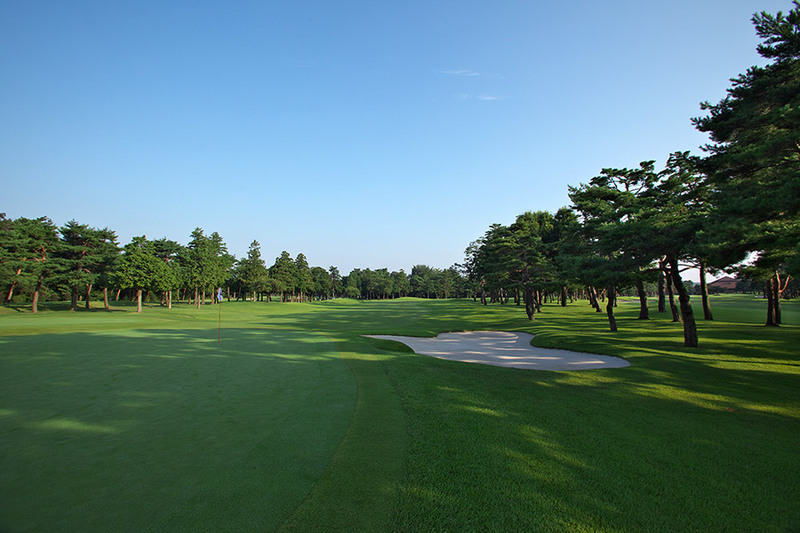 The key is to aim toward the large cedar tree in the front. A large green side bunker awaits in front of both A Green and B Green. 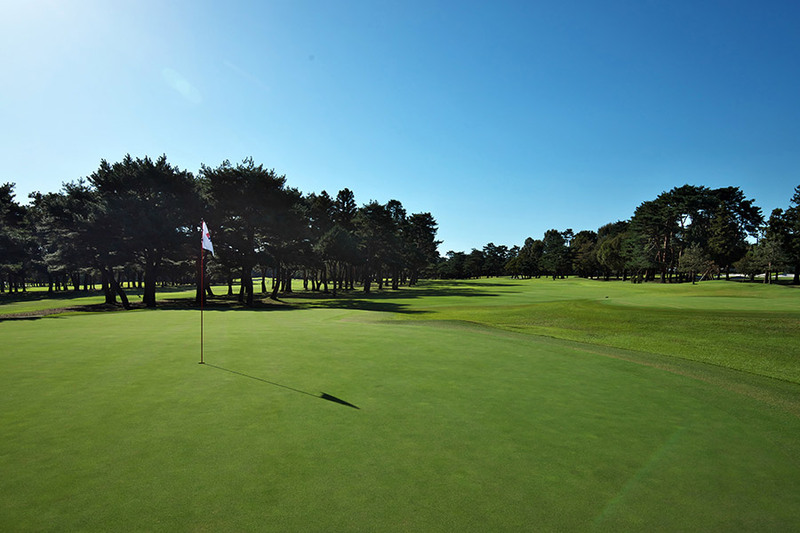 You won’t be able to see the green if the pin position is on a bunker. 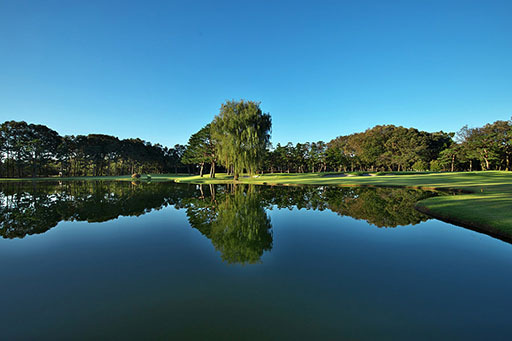 Intimidation of a large pond right in front of you and willow trees on the back side will make your tee shot difficult to execute. 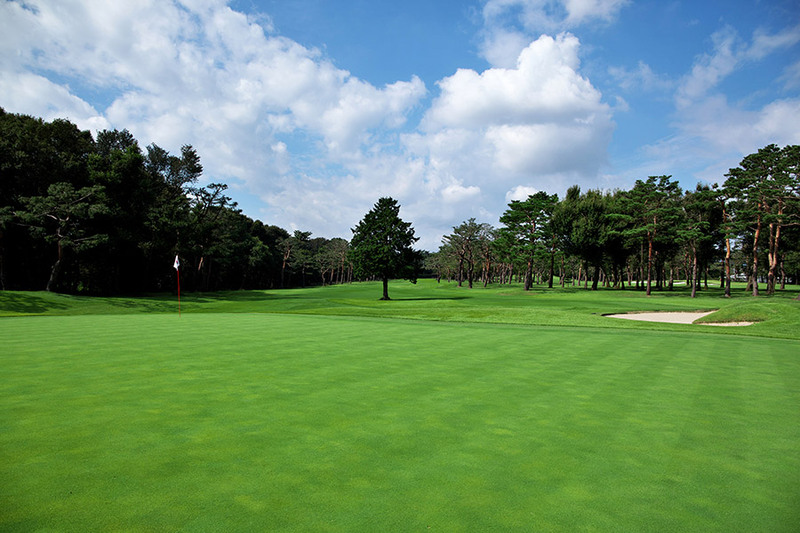 A Green comes in two layers, with higher back side green and lower front side green. 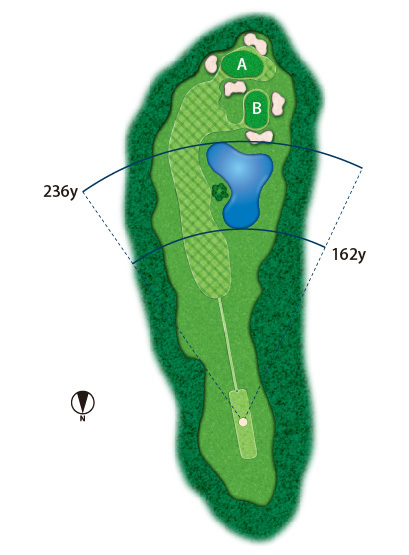 Since B Green also has a high degree of inclination, if you miss it, you will be left with a difficult approach. It’s a moderate dogleg-left par 4. 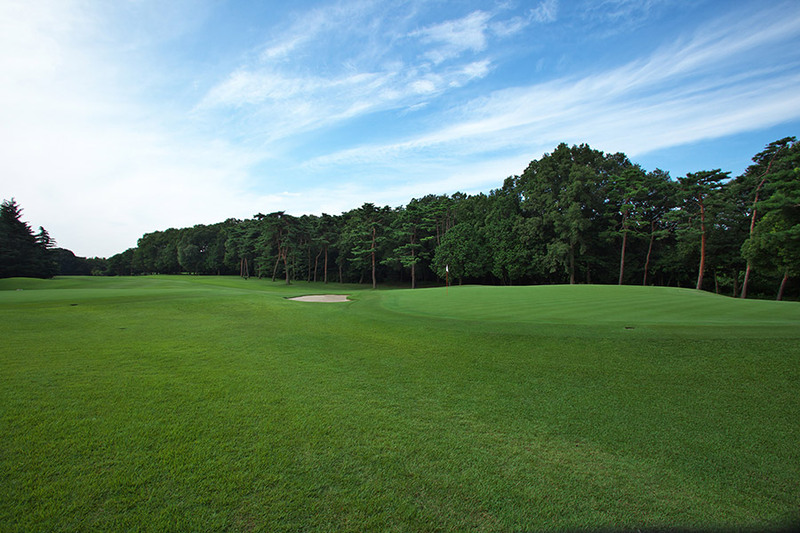 You won’t be able to aim for A Green if the ball hits the right side forest projecting toward the fairway. 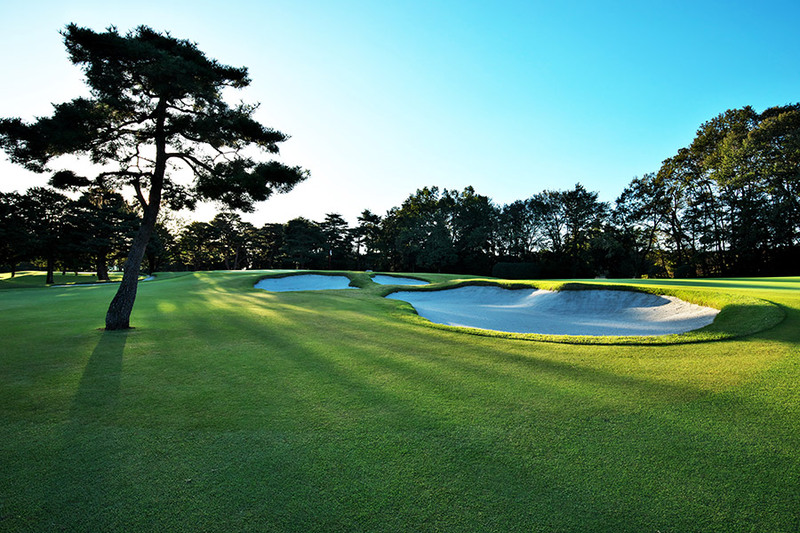 For tee shot, you should aim for right of bunker in the left side. Left bunker is about 210 yards from the regular tee. 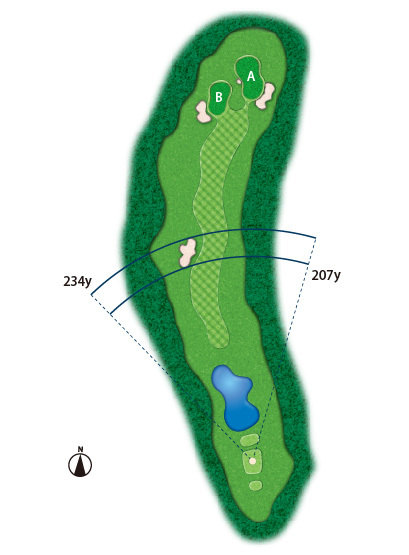 It’s a dogleg-left-par 4 that requires flying distance and accuracy. 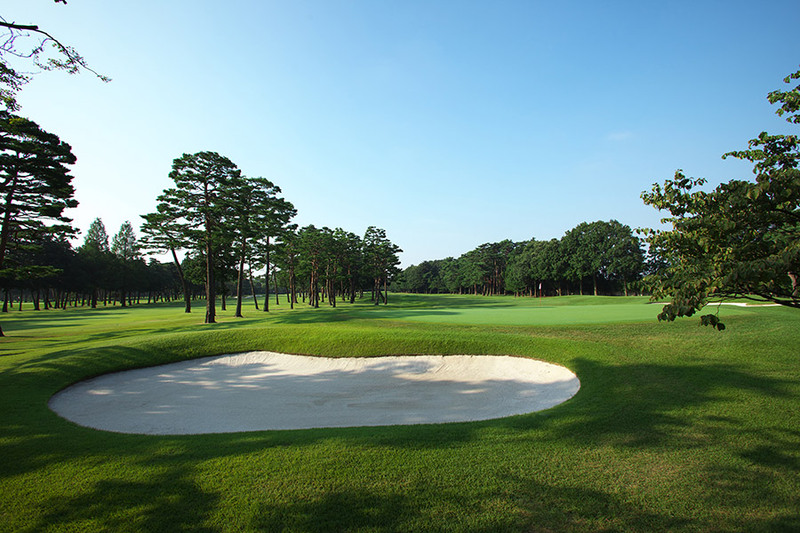 The bunker on the right side of fairway is about 220 yards from the regular tee. 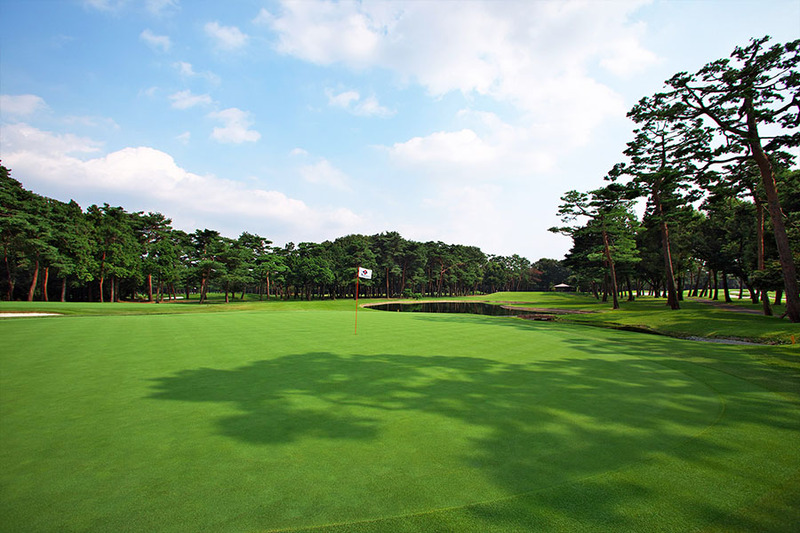 If the ball goes inside the left forest, you will have a hard time aiming for the green with second shot. 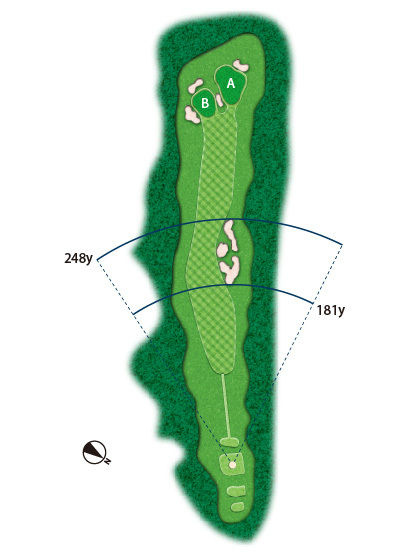 It’s a long distance par 3 where you want to pay attention to the shallow left side OB line. 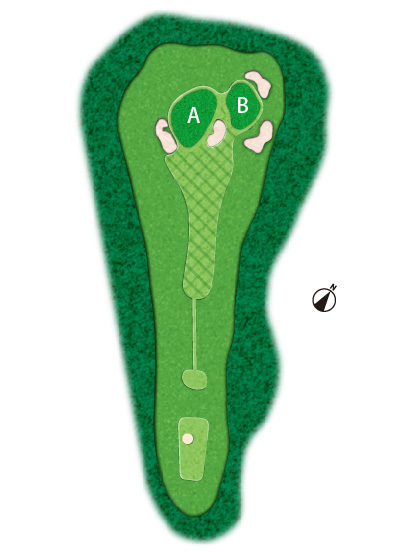 Since both A Green and B Green are elevated, theoretically speaking, you want to attack it with a high fly ball. 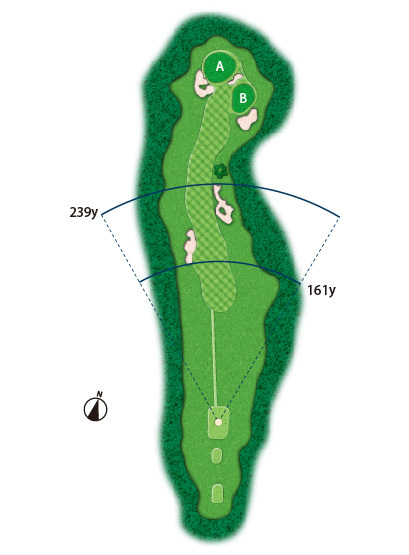 It’s a par 5 with narrow fairway that requires accurate tee shot. 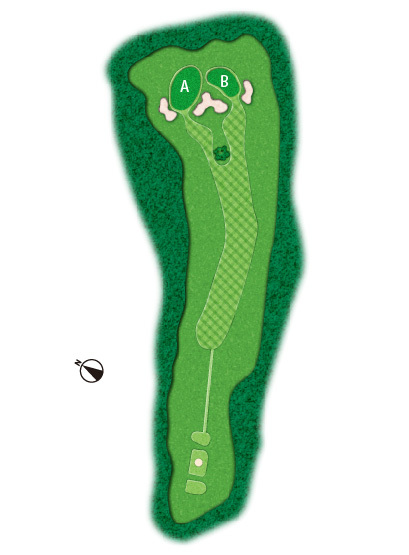 Since the bunker on the right side of fairway has a tall wall, if the ball lands on the bunker, you will be forced to hit a lay up. It goes fast from both A Green and G Green from the back side. 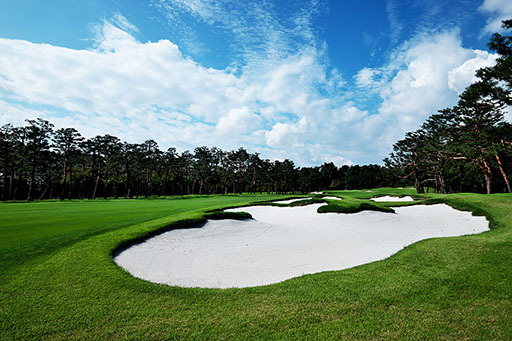 It’s a short distance and narrow hole with OB on the left side and bunker on the right side. Players tend to find themselves puzzled over whether to attack by driver or lay up. 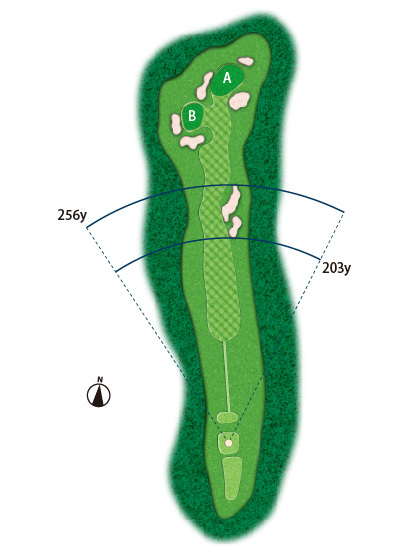 You want to make sure the ball doesn’t go too far into the left side, as projected forest will make things difficult. 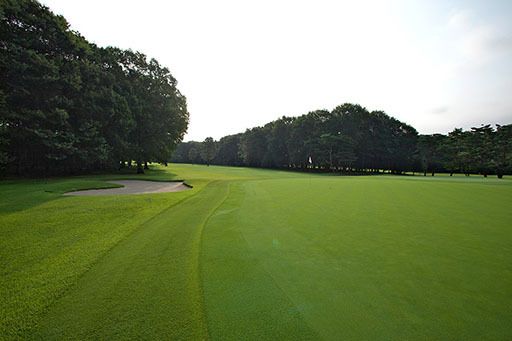 Although this straight hole looks easy to play in, it’s actually a difficult one to play in since the bunker on the left side of fairway has a high undulation. Because of this, in order to produce a good score, you need to keep the ball on the fairway with your tee shot. 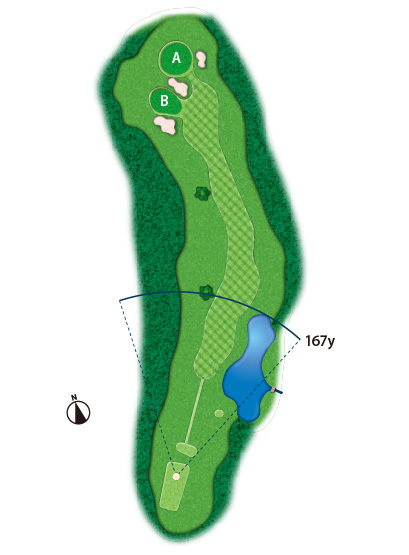 In order to drive over the large pond, you need to hit at least 140 yards from the regular tee. Since A Green is slanting toward the creek from the right side and B Green is little affected by the pond with wide apron, it’s recommended to attack from the position in front of the green. It’s Sayama Golf Club’s longest par 4. 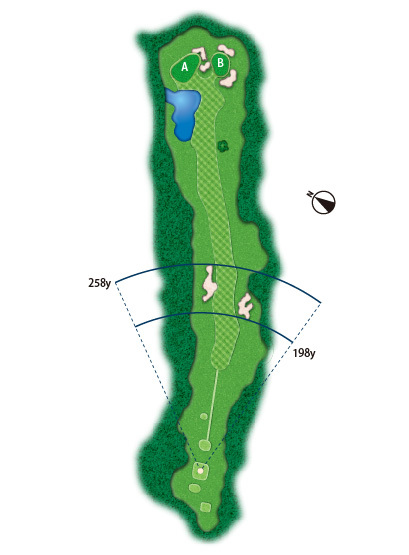 Since it’s a moderate left dogleg hole, you want to attack it by hitting tee shot from slightly right side. 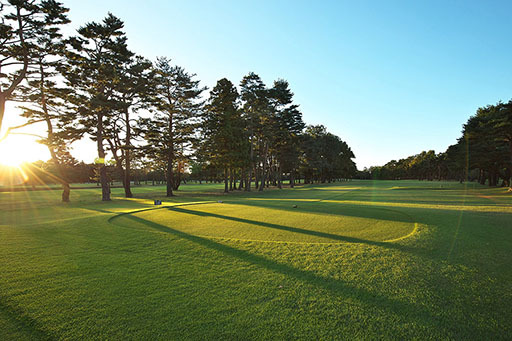 It’s definitely a type of hole that requires dynamic strategy. 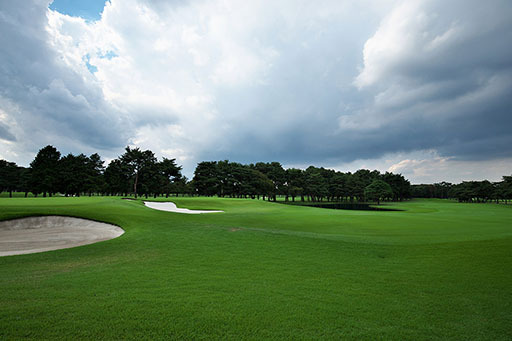 Although it’s a short distance course, you are awaited by various undulated fairway bunkers on both sides of fairway. Although it gives the impression that there is no escape once you land on the bunker zone, since there is a fair amount of distance between each bunker, you can still escape by a lay up shot. 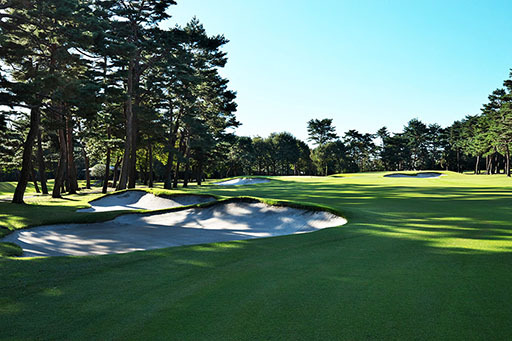 It’s a straight part 5 that has bunkers on both sides. If the ball lands on a left side bunker, your next shot will be obstructed by a projecting forest. 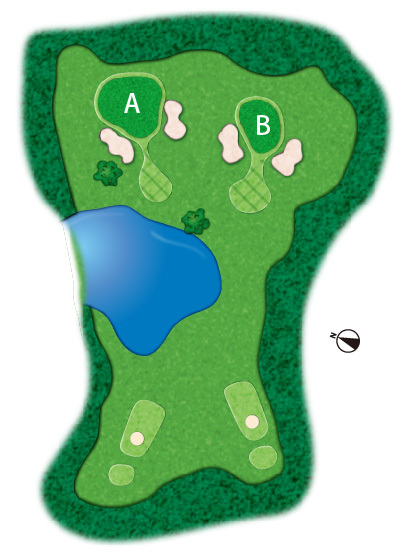 A large pond in front of A Green forces you to make a tough decision between attack and lay up.